While overall production has declined in recent years on Ontario cherries for some farms, crops themselves are producing well. Ecker attributes the change in production to the weather. 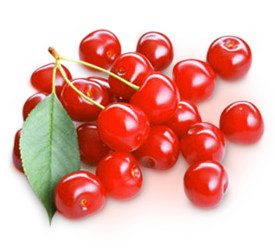 While the current hot, humid climate in Ontario may be more detrimental to cherries, it is ideal for other tender fruit. With 70 percent of sweet and tart cherries coming from the United States being grown in four states, including Washington. Ontario’s aptly named Niagara region makes for juicy peaches. “What we’ve lost in cherries we’ve gained in peaches,” stated Ecker. “We grow amazing nectarines, plums, grapes and in recent years we’ve started to plant more and more apricots. It’s starting to take off. By growing the apricots close to our customers here in Ontario we can provide them with amazing tasting apricots. We think it’s a huge opportunity for us.” They also expect between a 15 to 20 percent increase in volume of nectarines this year. With recent funding from Ontario Tender Fruit Growers and Friends of the Greenbelt Foundation, over 111,000 trees will be planted to bolster Niagara’s thriving tender fruit industry. Participating growers began planting this spring, with more trees to be planted in the fall. Production of Cold Snap pears, included in the project, is ramping up. Right now, it’s proper irrigation that’s needed for good-sized fruit.